Four Generations: My mother Jackie was barely 3 years old when this photo was taken. In the back is her mother Margaret Bittlingmeier Bogner. On the left is Margaret's mother, Anna Bauer Bittlingmeier, and on the right is Anna's mother, Margaret Greuter Bauer. The year was 1935. 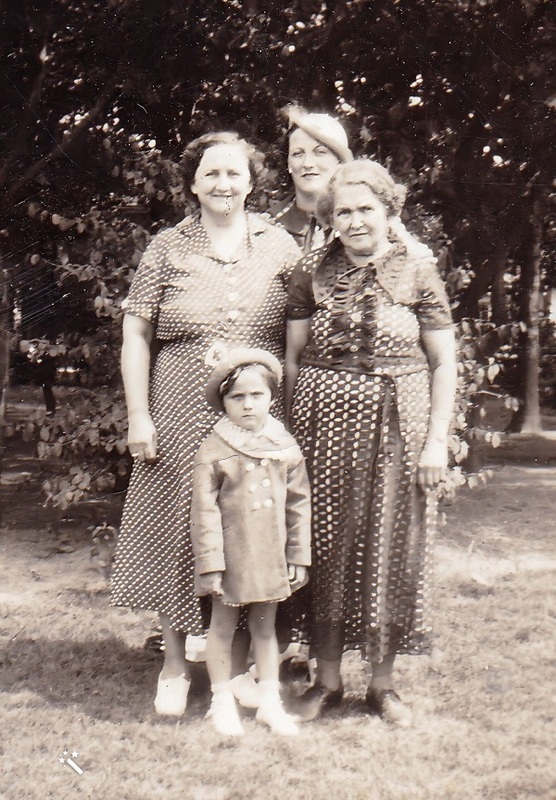 My grandmother Margaret was 29 years old; my great-grandmother Anna, 47; and my great-great-grandmother Margaret was 67. This is actually a pictorial representation of my mitochondrial DNA. For more on that subject, click on "DNA Testing" in the panel on the left.